She sells seashells by the seashore ! Add whimsy and fun to any setting with the Shell Leisure Patio End Table. 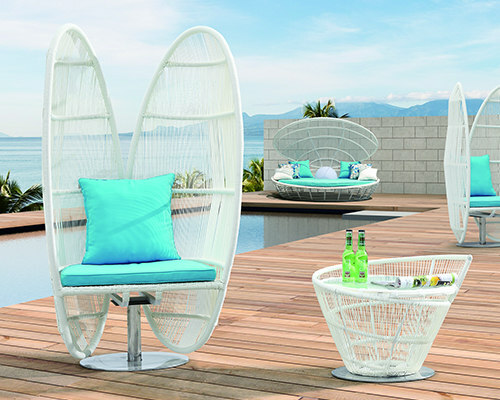 Constructed of quality resin wicker on aluminum frames and tempered glass top, the Shell Collection is sure to find the perfect spot at your home. Product Dimension: W25"xD25"xH21" Shipping Dimension: W26"xD26xH22"